AND…this is only part of what was there originally! No, I didn’t eat the others. So far I’ve done pretty good in passing it up. That doesn’t mean I don’t want to nom down on the peanut butter cups and butterfingers. Did I mention how much I love Lemondrops? So, I take it a day at a time and hope I continue to make the wiser choice and leave the candy to everyone else. When I got home, I was still craving sweets so I decided to eat a couple of blackberries. 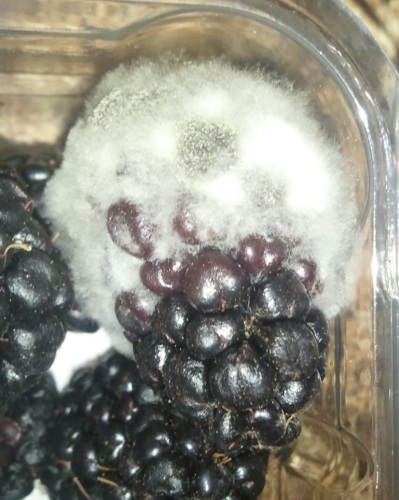 Unfortunately, my blackberries had grown afros…not cool. Thankfully the blueberries were still in good shape! 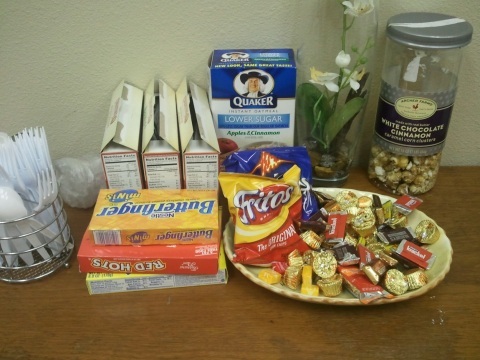 This entry was posted in Food Log and tagged Good Eats on February 23, 2011 by Tammy.